A teenager who tried to slash his sister’s partner with a Stanley knife was sent to a Young Offender’s Institution for 58 weeks. Kyle Drummond Allan, 19, had earlier pleaded guilty at Inverness Sheriff Court to possession of a knife and assaulting Russell Devlin. Sentence was deferred until yesterday. Defence solicitor advocate Shahid Latif told Sheriff Margaret Neilson that his client was “in a low mood and not in a good state of mind” when the offence took place in Lotland Place on April 24. 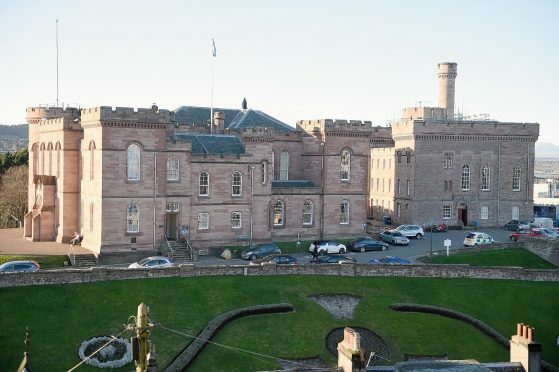 Allan was described as a Polmont prisoner, but has Dingwall and Inverness connections. The associate phoned the police and Allan then went to his sister’s house. Mr Urquhart went on: “He went into the kitchen and said to Mr Devlin: ‘You didn’t think I would be back. You are getting it – getting slashed.’ He then swung the knife a number of times. Mr Urquhart said that on the last occasion Allan drew the knife back to take another swing, his sister was able to seize hold of it and disarm him. She then phoned the police and Allan left the house, Mr Urquhart added. “He handed himself into police two days later.” Mr Urquhart went on.